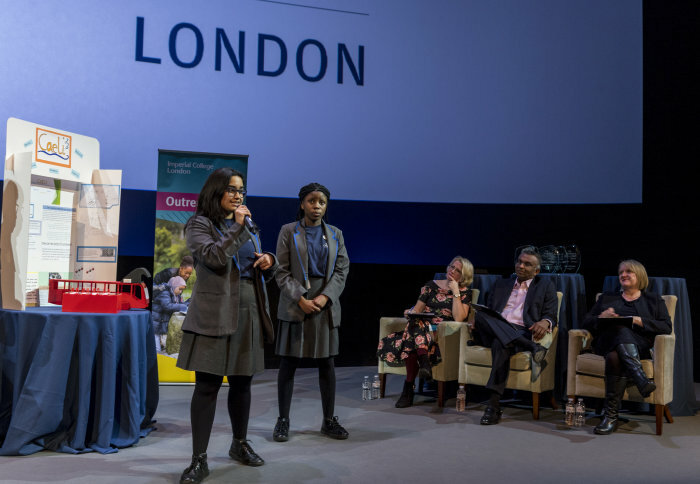 Young people across the capital were tasked with creating innovative solutions to make London a better place as part of a unique outreach programme. 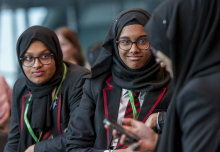 The School’s Challenge, run by Imperial College London in collaboration with J. P. Morgan, brought together 176 students from 12 schools across London at the Science Museum this week for the grand final of the programme. 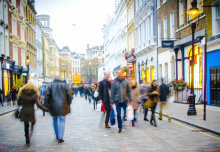 The challenge is set by the Mayor of London’s Office, in order to solve some of the most pressing issues facing London. It encourages pupils to create a new product aimed at making their city a better place to live – focused on either air pollution, urban biodiversity or the sustainable city. 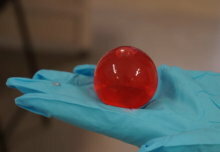 The teams had the opportunity to develop their idea from the initial concept through to physical prototype development in Imperial’s state of the art community innovation facility, the Reach Out Makerspace. The students also used business and entrepreneurial skills to come up with a brand, promotional campaign and a business plan. During the final, the students presented their completed prototypes and poster boards documenting their journey, as well as delivering a pitch about their project. The aim of the programme is to inspire students about STEM and support them in making informed choices about their next steps in education and employment. 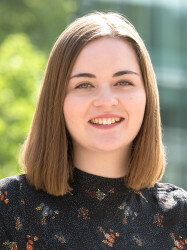 As well as providing the pupils with student mentors from Imperial and interactive sessions in the College’s Makerspace, they are also prepared for the world of work through sessions with J. P. Morgan. One of the participants from Ark Evelyn Grace Academy said: “I’ve learnt a lot during the programme: how to construct a team, create a product and work to deadlines. It made us feel like professionals! The overall winner of The Schools Challenge Programme 2018 was team R3 from Kensington Aldridge Academy. Their product Volcharge is a state of the art technology that charges mobile phones through sound vibrations, helping to save energy and allowing users to charge their device anywhere. Joanne McCartney, Deputy Mayor of London for Education and Childcare, was one of the judges at the final and praised the pupils on their hard work. Speaking at the event she said: “All of these challenges are priorities for our city and for our Mayor […] These are exactly the sort of solutions our city needs to embrace. The winners will have the opportunity to attend a creative workshop at The Design Museum, and will also have a chance to meet the winning teams from versions of the competition held in Paris, Milan and Frankfurt. The programme is run by Imperial's Outreach team, with one of the judges being Dr Annalisa Alexander, Head of Outreach.